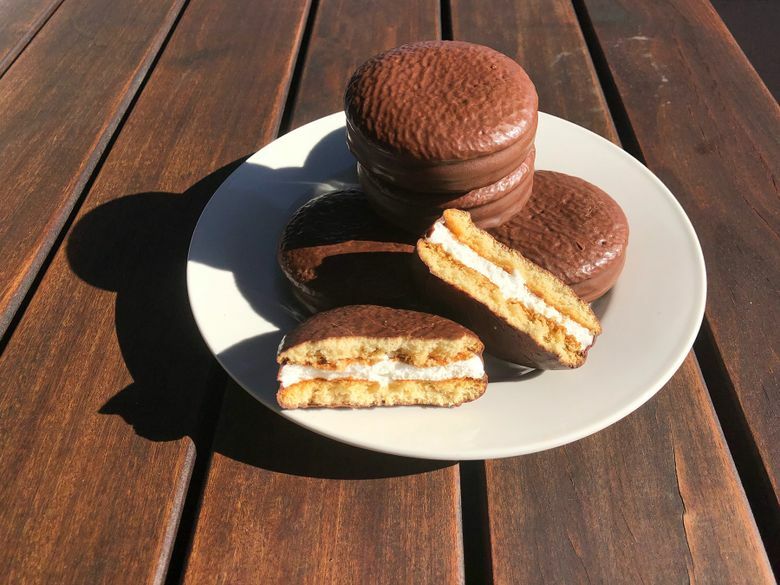 Perhaps no company has a more ready fan base in the North than the South Korean makers of the original Choco Pie, a cake-and-marshmallow sandwich dipped in chocolate, somewhat like an American MoonPie. SEOUL, South Korea — At a glass-and-stone office complex in downtown Seoul, a team of corporate strategists is thinking about diplomacy, North Korea, and the power of marshmallow, yellow cake and chocolate. At the same time, dozens of other companies across South Korea also are jockeying for any edge to jump into North Korea if Kim Jong Un’s outreach eventually opens investment in a country that needs everything from new roads to designer doorknobs. But Orion has something the others do not: the original Choco Pie and its status as a treat so coveted in the North that it can be peddled for many times its price on the black market. There is still no way to predict whether North Korea could get an investment rush from South Korea and other countries across the region. For starters, the Kim regime needs to make enough nuclear concessions to cause a rollback of some U.N. sanctions. That hasn’t dampened the optimism of South Korean executives. Companies of every stripe — construction, shipping, mining, hotel groups, automaker Hyundai and others — have started to weigh the potential windfalls and risks. Many industry officials see South Korean food companies as among the most likely to make the first possible forays, using common culture and tastes as calling cards. “For South Korean companies, low wages and close proximity are definite plus factors, and, of course, the shared culture and language as well,” said Gloria Koo, associate director of the University of Southern California’s Korean Studies Institute. Perhaps no company has a more ready fan base in the North than the South Korean makers of the original Choco Pie, a cake-and-marshmallow sandwich dipped in chocolate, somewhat like an American MoonPie. An executive at Orion, which introduced the Choco Pie to South Korea in the 1970s, said this past month that its most-famous snack could be the advance guard in North Korea for the company’s full line of crackers, cookies and other munchies. Choco Pies were a favored extra among North Korean workers at the now-suspended Kaesong industrial zone, a project that began operations in 2004 to allow a foothold in the North for scores of midsize South Korean companies. The North Korean workers stashed them instead of eating them. Choco Pies became so prevalent for sale or barter on the streets that North Korea reportedly banned their import to Kaesong in 2014. Choco Pies became such a symbol of resistance that activist groups in South Korea sent them over the border tied to balloons, and the Seoul government gave a lifetime supply of Choco Pies to the North Korean soldier, Oh Chong-song, who was badly wounded by gunfire in his dash south across the Demilitarized Zone in November. Investing in food for North Korean markets is also on the mind of one of South Korea’s major conglomerates, the Lotte Group. The business is counting on lessons learned by its more than decadelong association with the Kaesong economic zone, where the company’s food division provided snacks including a lemon-lime soft drink called Chilsung Cider and its own version of the Choco Pie. The Kaesong project offered cheap labor for some South Korean manufacturers and provided the North with foreign currency. It was suspended in 2016 amid Seoul’s anger over the North’s nuclear tests. This month, Lotte announced a North Korea task force that encompasses the huge reach of the regional powerhouse company, which has headquarters in Tokyo and Seoul. Lotte’s food, hotels, logistics and chemical holdings are making contingencies for the North. The professor has led calls for “managed economic engagement” if sanctions ease. But it’s hard to say how many businesses in South Korea are willing to go slow. A recent North Korea investment forum in Seoul brought together about 600 corporate executives and economic researchers to hash over future opportunities. The list went on and on: roads, railways, ports, airports, the electrical grid, hotels, televisions and consumer goods of all kinds. Real-estate firms zeroed in on the untouched property in the Demilitarized Zone, or DMZ. Some tourist companies brainstormed ideas about the North — all aware that even giant Hyundai was once burned by the North’s government. In 1998, Hyundai opened a mountain resort for tourists at North Korea’s Mount Kumgang, just over the border. It was hugely popular, but it was closed in 2008 by the North after a sentry shot and killed a tourist. The entire development was confiscated by Pyongyang. Korea’s central bank estimates that the North Korean economy has expanded at a respectable 1.24 percent on average each year since Kim assumed power in 2011, gradually allowing a budding free enterprise system to emerge with small private shops and restaurants. China, however, remains the big brother, having served as the North’s economic lifeline for decades. The Chinese city of Dandong is a busy gateway for Chinese exports and the hub for Beijing’s policies of creating special economic zones built on cheap North Korean labor. This leaves South Korean businesses — even powerful global brands such as Hyundai and Samsung — asking for government help to catch up. Many executives express hope for a master plan by the government of South Korean President Moon Jae-in to handle potential investments into North Korea and, down the road, possible reunification. Some initiatives are taking shape. South Korea’s Ministry of Justice has started reviews of potential changes in the country’s laws related to cross-border exchanges and economic cooperation. The South’s deputy prime minister, Kim Dong-Yeon, said the government is “considering various scenarios” for economic cooperation with the North. At a meeting this month in Kyrgyzstan, North Korea cleared the way for the South to join an international group promoting cooperation between railways, marking one of the first apparent business-friendly moves following the groundbreaking meeting in April between the leaders of the two Koreas. “Sanctions remain in place, and unwinding sanctions can be a complex and contentious undertaking that, in the case of North Korea, will also require working through multilateral restrictions,” said Clara Gillispie, senior director of trade, economic and energy affairs at the National Bureau of Asian Research’s Washington office.